to the official Ron VanDerZwan website. 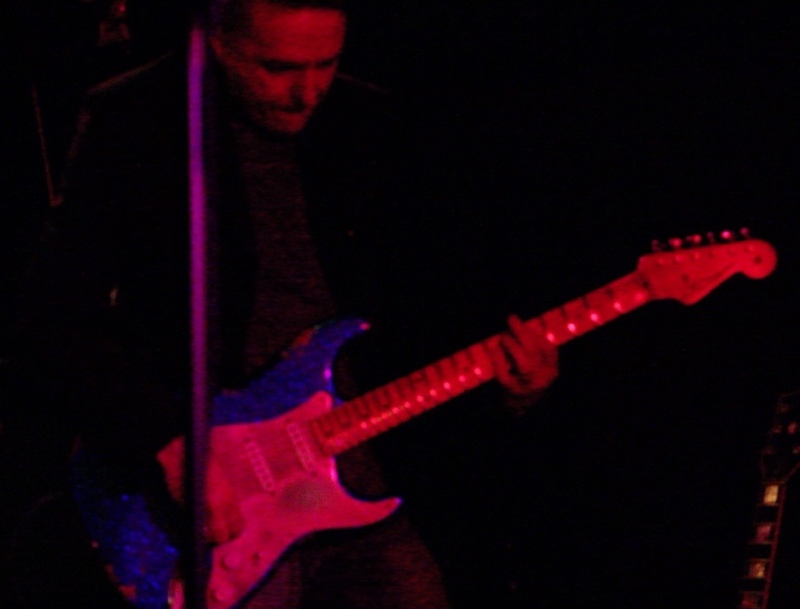 I am a passionate, versatile musician and I hope you enjoy my music. Please feel free to send me an email, read my tweets and follow me on facebook, I would love to hear from you. Everywhere Ron performs he creates a buzz with his dazzling and infectious guitar playing. Born in The Hague (Rock city of the Netherlands) his music finds its roots in Rock and Blues. He officially became a recording artist in 1990 after signing with the Red Bullet label (known for groups such as Golden Earring, Focus, Shocking Blue) debuting his singles 'Video Junkie' and 'Digital Lady' (1990). In 2005, Ron released his album 'Stone' on iTunes which received rave reviews and major airplay in the Netherlands. The single 'Getting Old" hit the #1 spot on the video charts and is a showcase of groove playing, mixing in influences from the successful 90s band Living Color. Ron played lead guitar with the Paul Price Band in 2007, touring extensively in Canada and the USA, (from Toronto's legendary Horseshoe Tavern to the Triad on Broadway in New York) winning over audiences with his soaring guitar leads. Come and see Ron play live with the RVDZ Trio, collaborating with Chris Craig on drums and Grant Strom on frettless bass. The music is loose and colorful with undeniable passion and energy, influenced by some of the greats such as Jimi Hendrix, Stevie Ray Vaughn, Eric Clapton and of course Ron's originals from the Stone album. Ron's last successful Album 'Stone' is available on iTunes. The video for 'Getting Old', an original Funk-Rock song in the Living Color tradition, went straight to number 1 on the Video charts in the Netherlands. The great rock classic 'Voodoo chile' has earned Ron both excellent sales and cudos from all over the world including a review by the official Hendrix Fanclub. Grant's introduction to rock music came as as accident in 1976 when shopping in a record store with his grandfather for a kids story record, he unknowingly bought the KISS album Destroyer. Grant's first exposure to playing bars was with a band called Strutter started in 1989. By late 1990 Grant was in a hair band Sourpuss playing covers and writing originals. They played the hot circuit of Rock'n'Roll Heaven, the Gasworks, Bedrock's, Hotrocks and the NagsHead. By late 1991 Grant was playing in the Bryan Adam's tribute band Summer of 69 touring Southern Ontario. In 2007, Grant was approached by his younger brother Kevin, a guitarist , to play in a cover band and over the years the band has reformed as Shawn Brady and The Northern Sons. It was at one of the Shawn Brady gigs that Grant met Ron in 2016 and the rest is history. The Trio playing a Hendrix Blues at a live venue in Toronto!